There comes a time in wedding planning when you just can’t do anything anymore to trim the growing guest list. It’s final and it’s inevitable that you’re going to have a huge celebration. This probably gets you antsy and jittery, not only because of the blown-up costs, but more so on the atmosphere of the wedding. It may seem counter intuitive to get a small venue when you’re accommodating 300 guests, but think about it, the larger your location is, the more distant your guests will be, physically and emotionally. This doesn’t mean small, as in tiny. Pick the size that’s not too huge that guests aren’t compelled to mingle with each other. If you booked a big venue already, styling can help in achieving the intimate atmosphere. Divide up the venue in small pockets of conversation areas. Use partitions and group large sofas to create those zones. Hang draperies, flowers, or chandeliers also in your high ceiling. This will also contribute to the intimate setting, as they ‘close in’ on the venue. Of course, the lighting also matters. How you play with natural light and artificial light can make so much impact on the mood of the space. If you have a little more budget, consider consulting a lighting designer to achieve the perfect cozy vibe. Photos make the wedding more personal, but couples typically just use images, particularly their pre-nuptial photos when decorating vignettes. Or, they release the pictures taken on the day long after the celebration, perhaps in social media or in thank-you notes for guests. 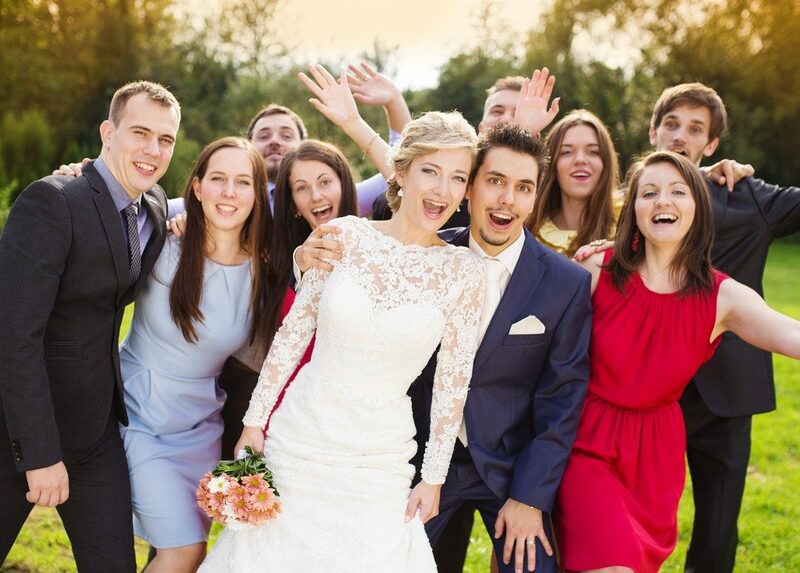 You can kick things up a notch by publishing wedding photos, in real-time, as they happen. There are software solutions today that aggregate photos taken by your guests by picking up the hashtags and keywords on their captions on social media. You can then flash these on a screen in one corner of your venue. Aside from that, you can discuss with your photographer your vision of showing raw official photos of the event. A lot of Detroit wedding photography experts offer this kind of service, on top of the same-day video edit. While you’re at a discussion with your photographer, make sure to inform them in advance about the particular groups of people who would want to be in photos as one batch. Encourage mingling with each other. The sweet buzzing of conversations adds to the mellow atmosphere of the celebration, so encourage your guests to start talking to each other. This can start way before the actual wedding. The small gatherings, like the rehearsal dinner or the bachelorette or stag party, can help break the ice among them and build rapport with each other. Seize that time for some getting-to-know-you activities. On the day of the event itself, you may leave icebreaker questions on the tables and make a game out of it. Ask your wedding planner for ideas. It’s possible to have a huge celebration, and have everyone in it so connected to each other. It’s just a matter of pulling the right strings. Remember these tips as you plan your big day.